[London] Having opened in 2011, Duck and Waffle is still considered as one of London’s most renowned 24/7 dining place. 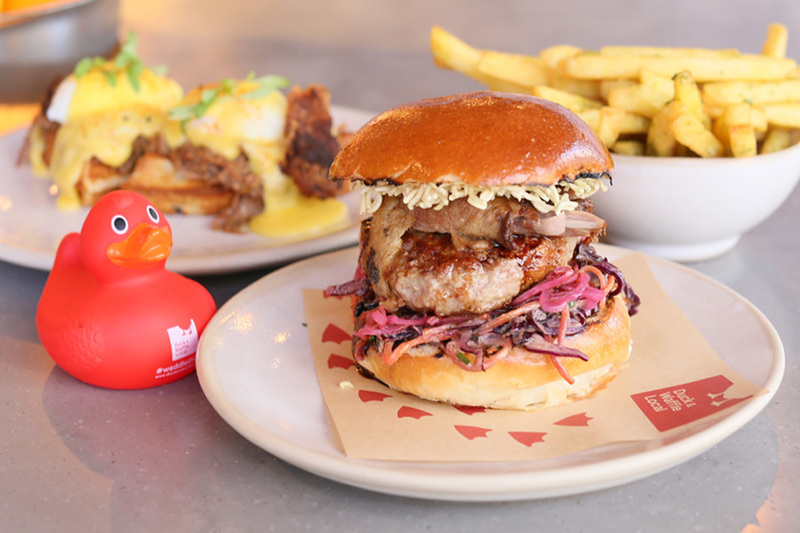 It is most famous for its eponymous dish – Duck & Waffle of crispy confit duck leg, fried duck egg and mustard maple syrup on a waffle. The original restaurant sits on the 40th Floor of the iconic Heron Tower, also known as 110 Bishopsgate in the heart of London’s financial district ‘the City’. 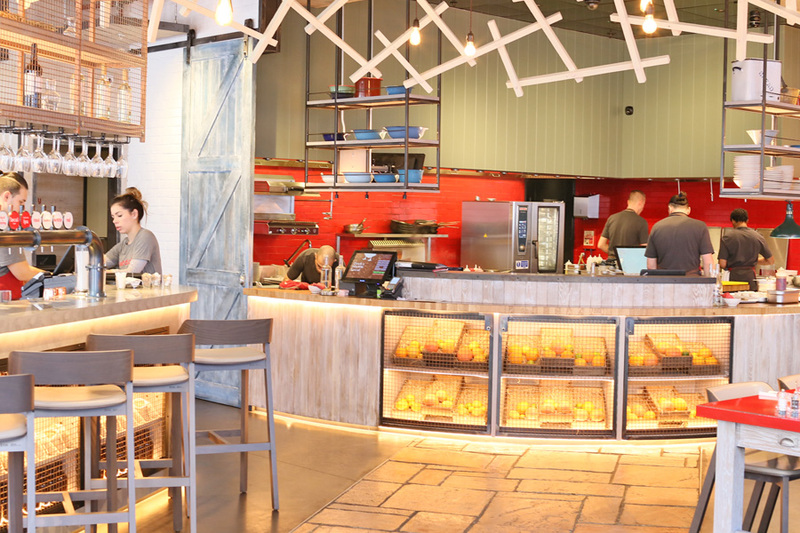 It is open 24 hours a day, seven days a week providing traditional British food with a European flare. 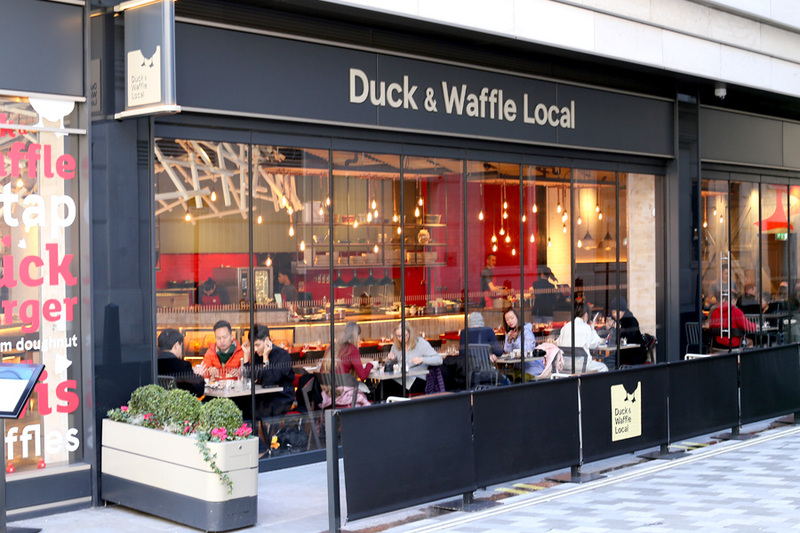 Not many non-Londoners would know there is a sister branch, called “Duck and Waffle Local”, located in the heart of St James, Central London. It is a short-walk from Piccadilly Circus station. The aim was to bring a more casual and playful version of the iconic brand to a more local and fast food orientated crowd. 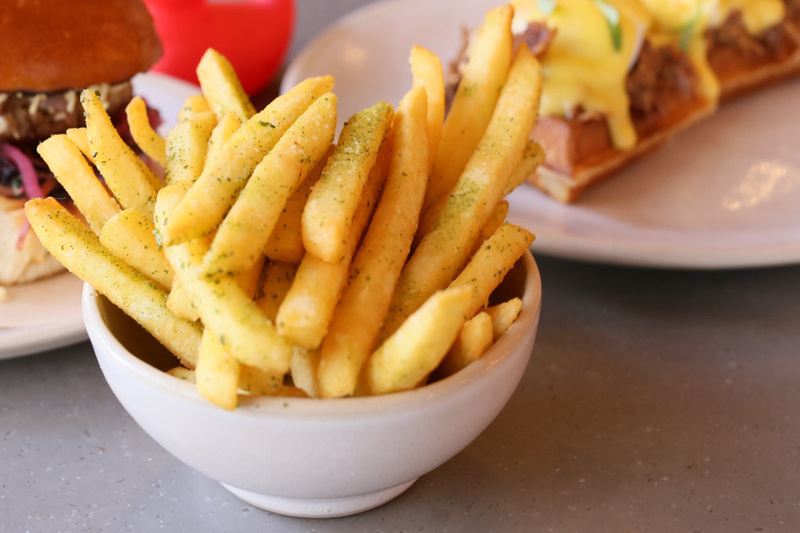 The Duck and Waffle Local was opened in early 2017, and so still had a very fresh and new feel about it. The inside restaurant area was warm and welcoming, especially if you were coming from a cold winter’s evening outside. 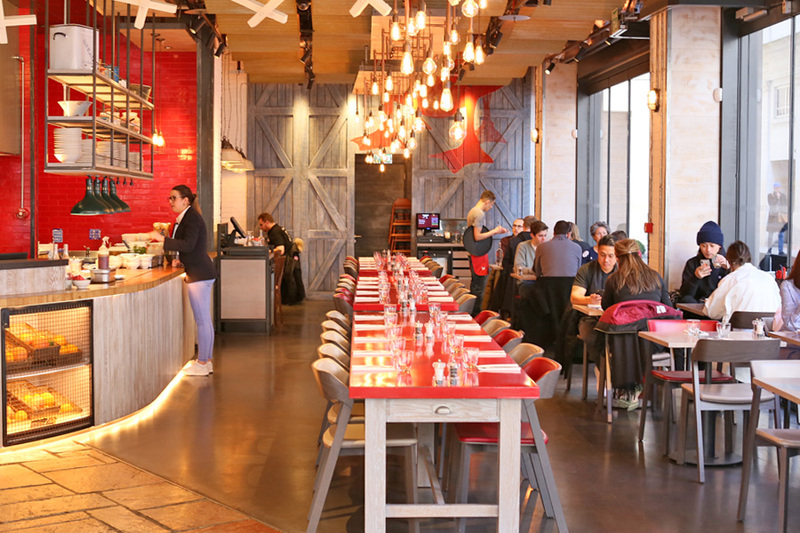 The interior was decorated in a very modern and stylish way, though in some ways you can find plenty of restaurants which are decorated in a similar fashion. Having said that, the hanging low lights create an intimate atmosphere in a reasonably large space. I sat in one of the corners, and the exposed brickwork, comfy seating and low lighting really made it feel relaxing and intimate. Another feature I really liked was the exposed kitchen. Whilst a lot of London’s restaurants let you see into the space where dishes are created these days, the cook in me still likes to peek into the kitchen. 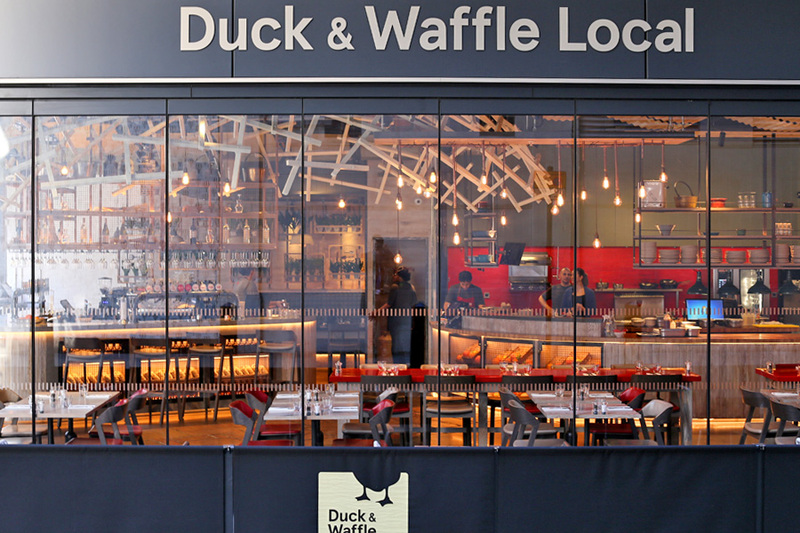 Whilst the original Duck and Waffle has a solid following being a favourite for city workers to get a midnight snack, the Local version is as much for tourists as it is for Londoners. I didn’t book in advance dining on a Monday evening. 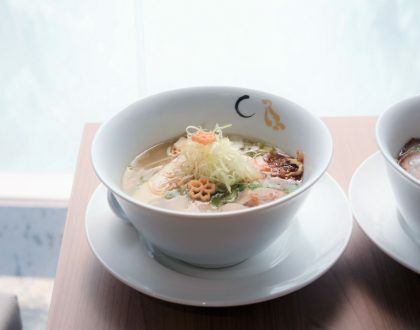 However for busier times (and especially when the nearby theatre shows finish), it is better to make a reservation. Once you are in there, you won’t feel like you are being rushed. If anything you are encouraged to take your time. 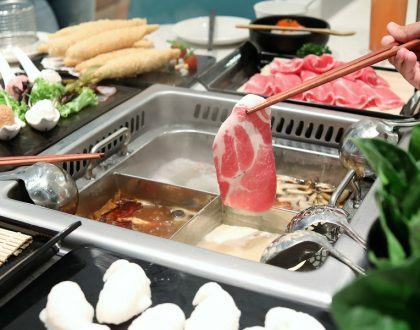 For some people, the original restaurant’s prices were far out of reach, especially when you are likely to pay a premium for the high level view. 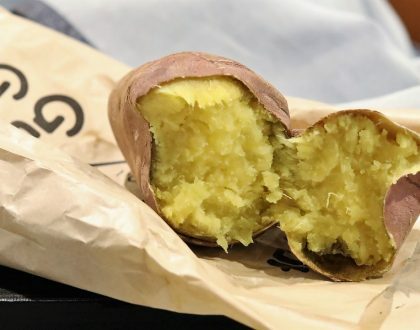 The ‘Local’ version brings that high quality food down to earth in two ways. As well as being on ground in a literal sense, the prices are also much more affordable. The St James version is accessible enough to make it a weekday treat. 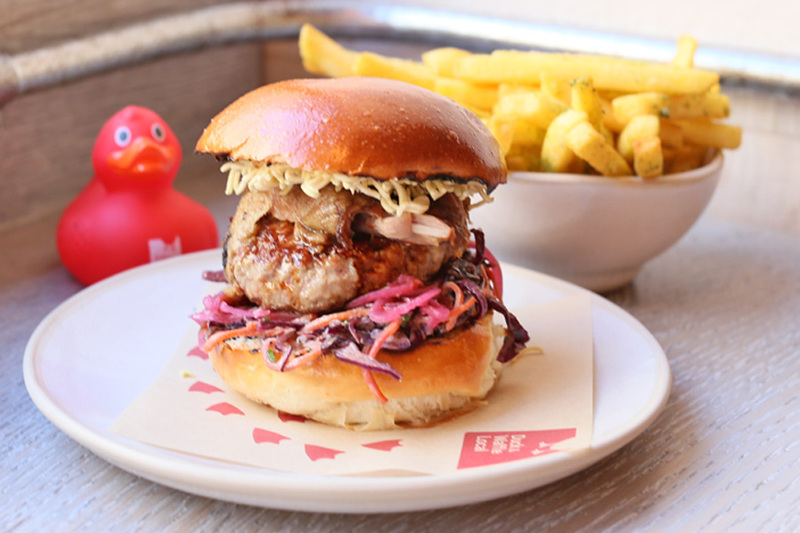 It is probably the food that will draw you to visiting Duck and Waffle Local. When first looking over the menu online before going, I was really excited by the simplicity of the confit duck leg with egg and waffle as well as more complex sounding things like foie gras creme brulee. As I said, the food is where Duck and Waffle Local really came into its own. 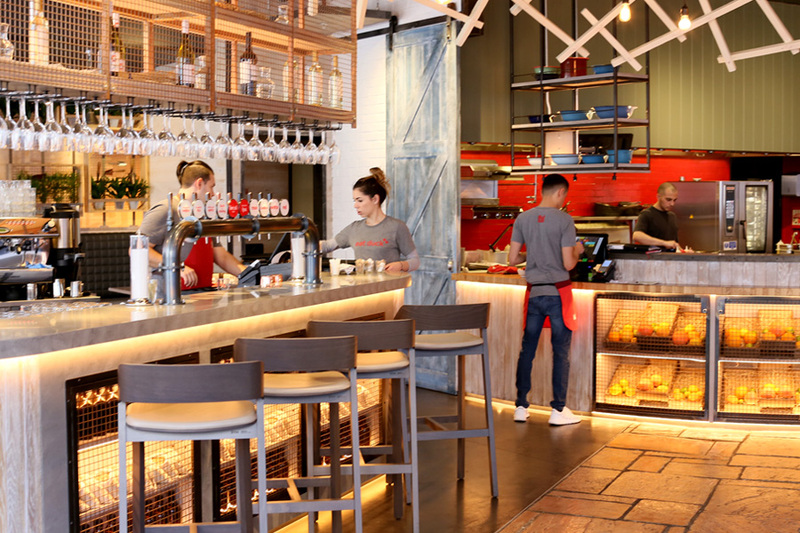 Some of the best looking dishes were the Duck & Waffle confit duck leg, with duck egg and a waffle (£15, SGD26.90); the Duck Burger with crushed noodles (£12, SGD21.52); and Pumpkin Ravioli Roasted Pumpkin, sage & buckwheat (£13, SGD23.32). There were also some fantastic desserts. 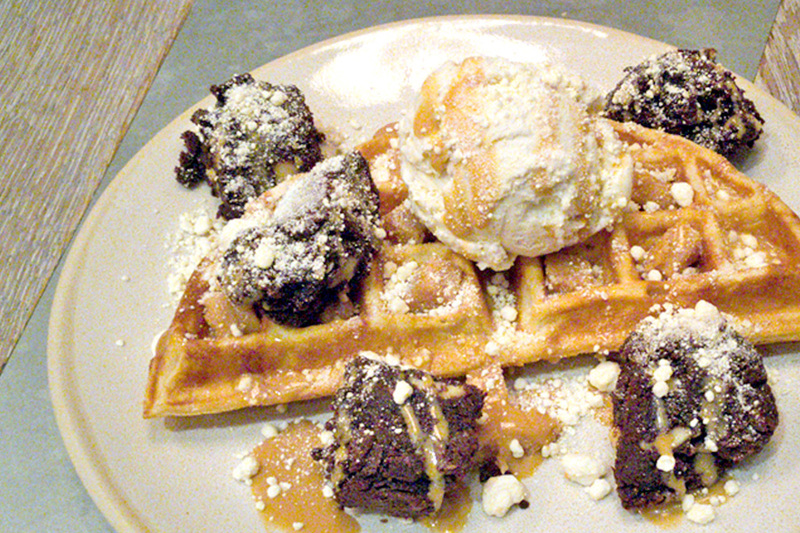 The three dessert options were served as either a waffle or a cone. All three are priced at £7 (SGD12.56). I had the Duck and Waffle with mustard maple syrup. It was really delicious. 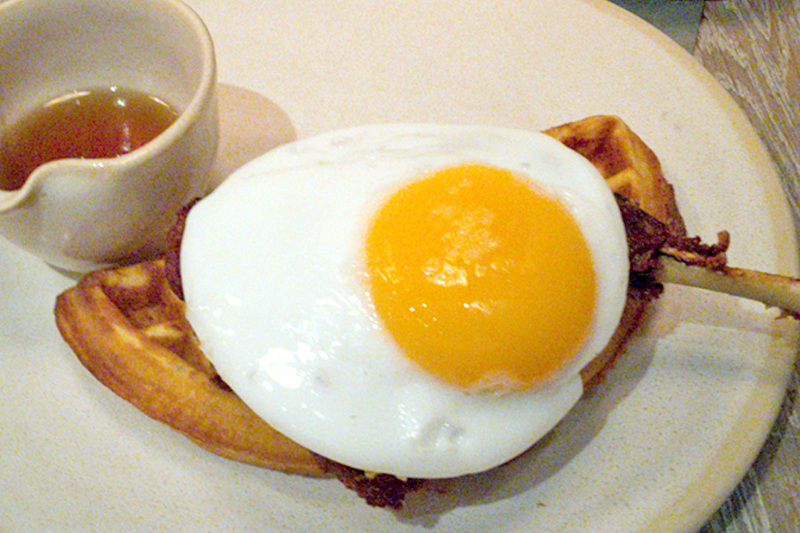 The waffle was light and fluffy which perfectly complemented the just set fried duck egg and the confit duck leg. Everything worked really well together and tasted great. I could have certainly eaten a second portion of this (but then I wouldn’t have had room for dessert). On the side, I also had the Grilled Tenderstem Broccoli which was served with fresh sliced chilli, garlic & dressed with lemon crème fraîche (£3, SGD $5.38). This is essentially half a large waffle with a main course and another half with the dessert, ending up being very filling! Duck and Waffle Local serve their own ‘local larger’ (4.4% ABV) which was crisp and refreshing (£5, SGD8.97). Uniquely, the bar would serve several premade cocktails which were poured from a tap, in the same way beer traditionally is. The sparkling white basil spritz made with Bombay Sapphire gin, white wine, basil, apricot is really refreshing and delicious. You cannot really taste the alcohol too much, so be careful with this one. Cocktails are priced at between £8 – £9 (SGD14.35 – $16.15). Both the head chef and the head of cocktail development are dedicated to bringing new and innovative flavour combinations which complement each other. 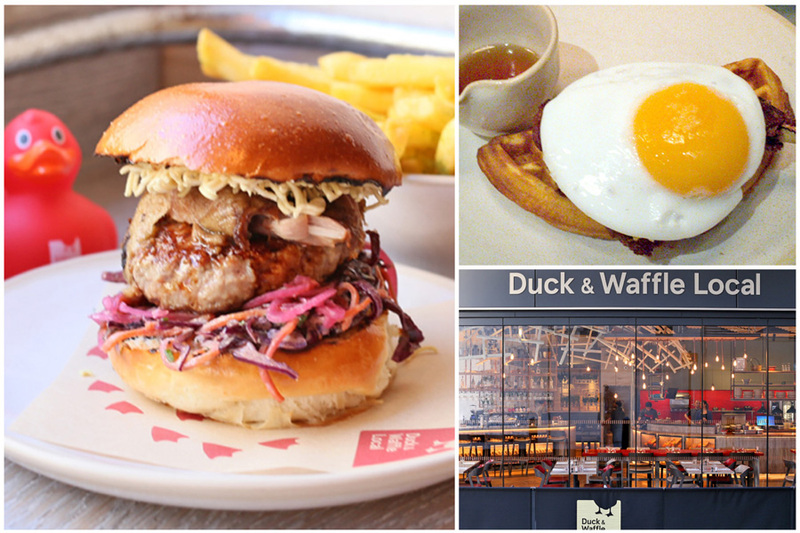 If Duck and Waffle Local is the future of fast food in London, bring it on! If you are going at the weekend, or mid-week onwards, it is a good idea to book a table in advance as it does get popular. * Written by DFD’s London Correspondent Russell Bowes, additional photos by Daniel Ang @DanielFoodDiary. When he is not sampling the best food the city has to offer, he is either cooking it up in his kitchen or exploring the rest of Europe. Daniel’s Food Diary pays for food reviewed unless otherwise stated.